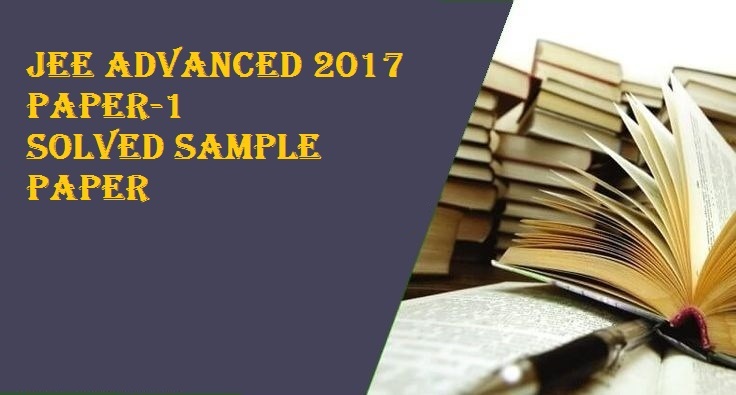 Find JEE Advanced 2017 Paper-1 Solved Sample Question Paper Set-X in pdf format. This sample paper will be very useful for the coming JEE Advanced 2017 Examination. This paper will help you in providing an insight of JEE Advanced Question Paper and help you in checking your preparation level. Find JEE Advanced Paper-1 Solved Sample Question Paper in this article. This paper will help you in providing an insight of JEE Advanced Question Paper and help you in checking your preparation level. There is not any fixed exam pattern for JEE Advanced but this paper will give you an idea about pattern and difficulty level of the examination.